I wanted to make some mini biscuits for school lunches, and I had some delicious rhubarb syrup in my pantry. The idea came about to ice the biscuits with a rhubarb syrup icing for extra flavour! 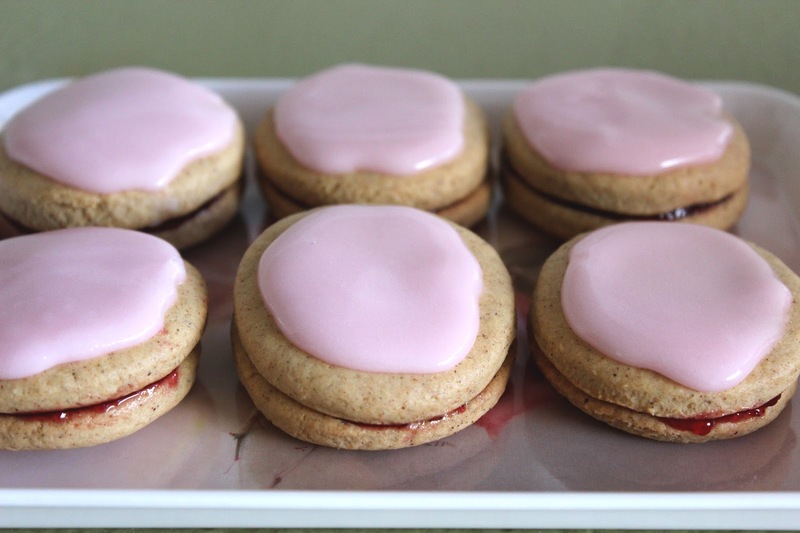 I have used a standard strawberry jam for this recipe, but feel free to use any berry flavour you would like for these biscuits. Cream butter and sugar until light and fluffy. Add egg and beat well. Add the flour, baking powder and cinnamon and bring together to form a dough. Roll out on a floured surface and cut small circle rounds. 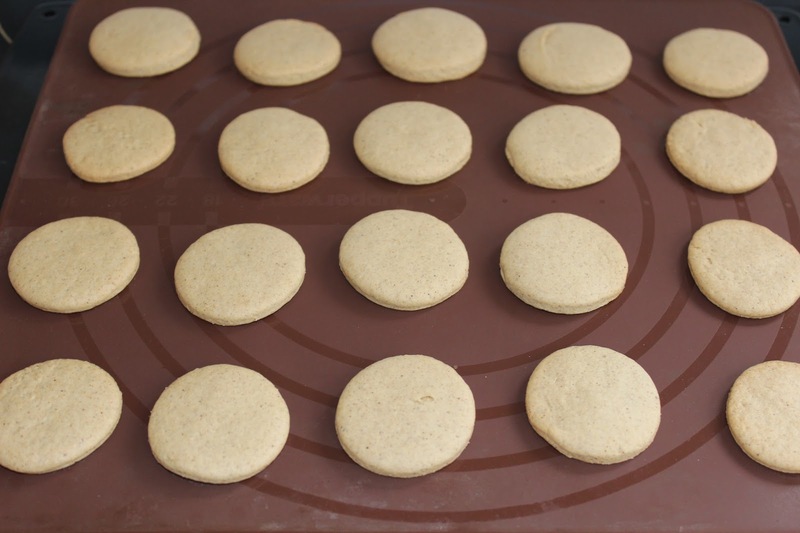 Arrange circles on a prepared baking tray and bake at 180 degrees C for 12-15 minutes or until golden. Cool on a wire rack. To make the icing, mix together the syrup, icing sugar and hot water until it is a spreadable consistency but not too runny. 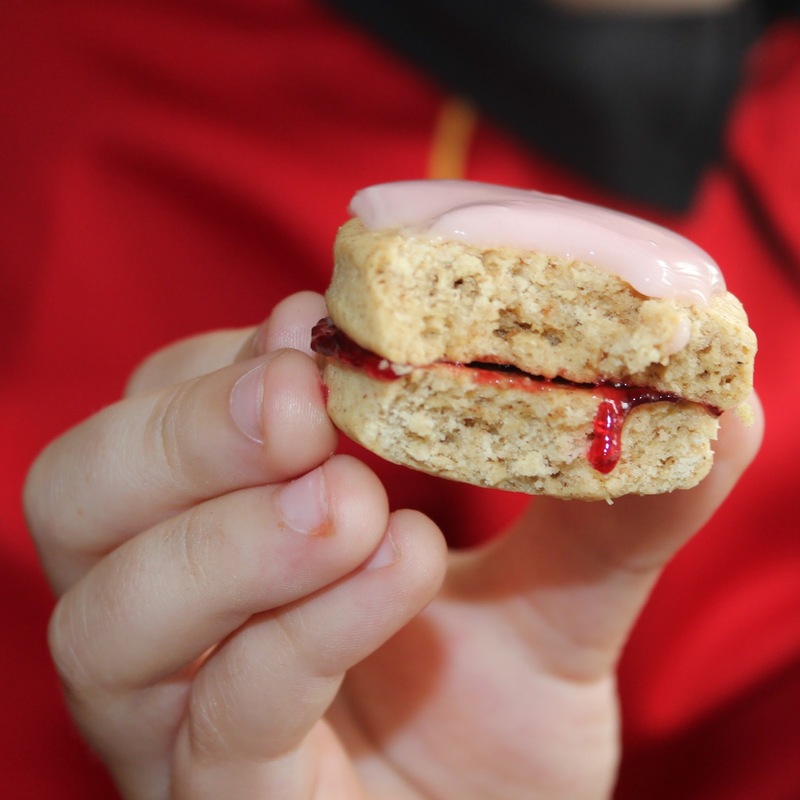 When the biscuits are cool, spread raspberry jam on the bottom of one biscuit, then place another biscuit on top of the jam. Spread a thick layer of the icing on the top biscuit. These are a great size for lunchboxes or to have with a cup of tea. As you can see, my kids approved! gosh your biscuits look perfect. I dont know how you got them all the same size! I used a cookie cutter! Although some of the less than perfect ones didn't get photographed. These look SO, so good with a filling and icing on top! YUM!